In this featured guide we're covering our favorite go-to watch faces and apps for the Pebble Steel. 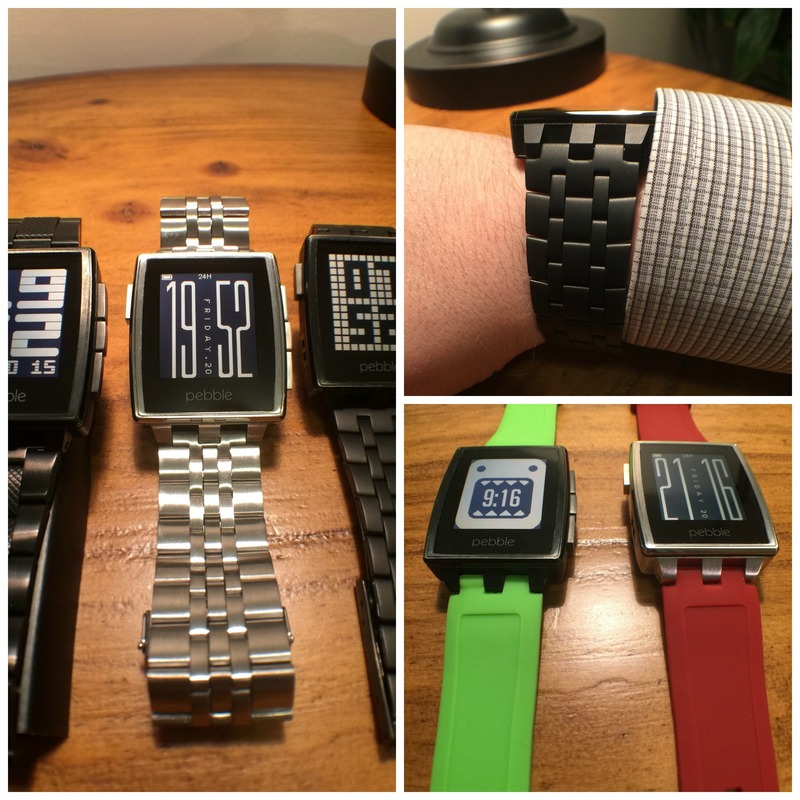 While there are many good watch faces and best pebble apps in the "Most Loved" section of the Pebble store, we have discovered a few gems in the store that aren't as popular and we also think they are some of the cleanest and simplistic custom watch faces for the Pebble. 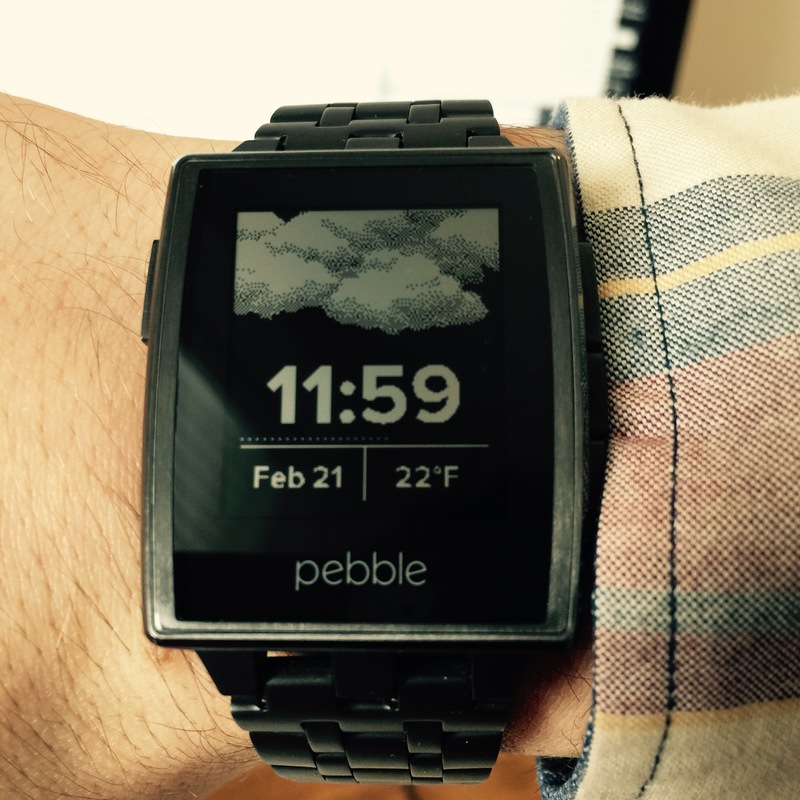 All these faces and apps will also work on the regular Pebble! 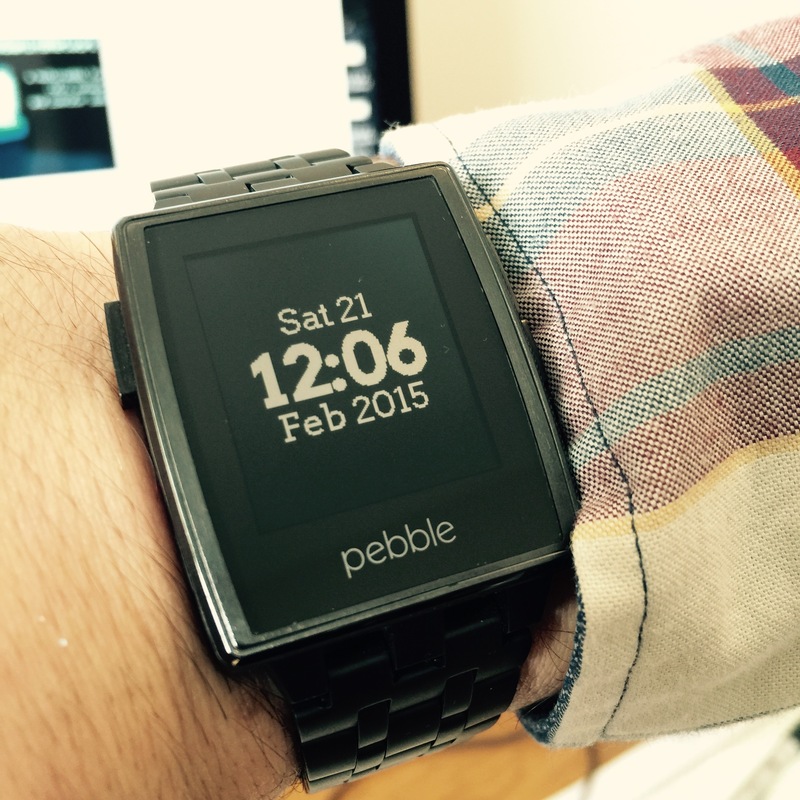 Also, don't miss — 15+ Custom Bands, Straps and Accessories for the Pebble Steel! 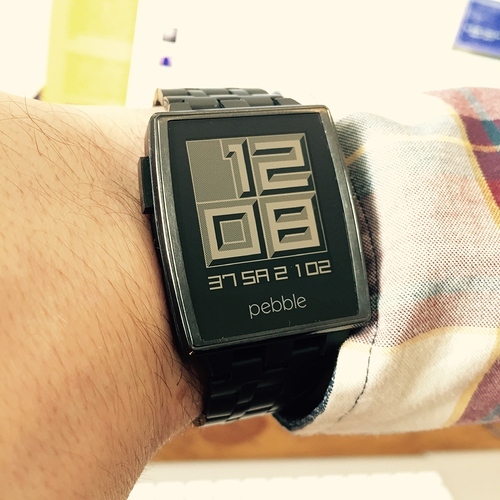 The RetrOS is a true hidden gem for the Pebble, we love the simple and retro vibe while the numbers are big and easy to see. 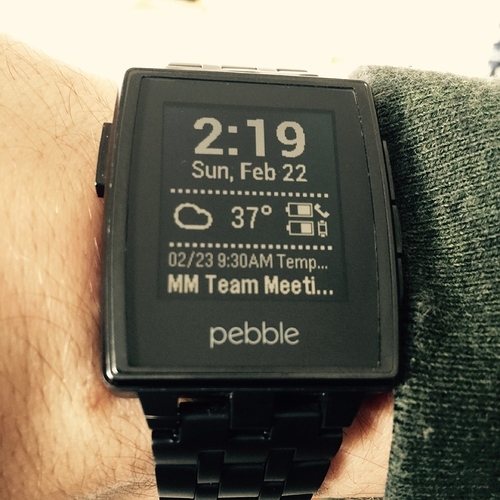 We also love the fact that it's very easy to read at any time, even without the backlight on or when there is glare. Also try the RetrOS Inversed colors version! 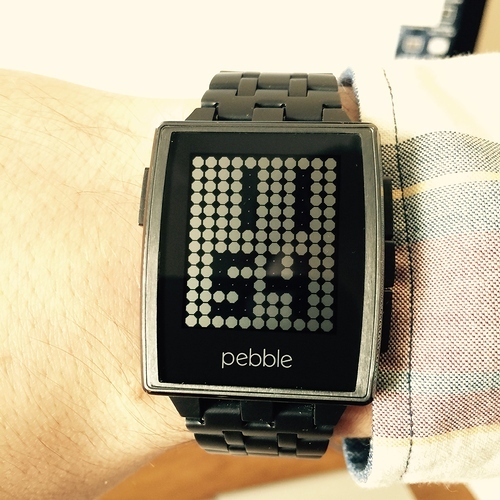 There's many reasons to love this watch face. 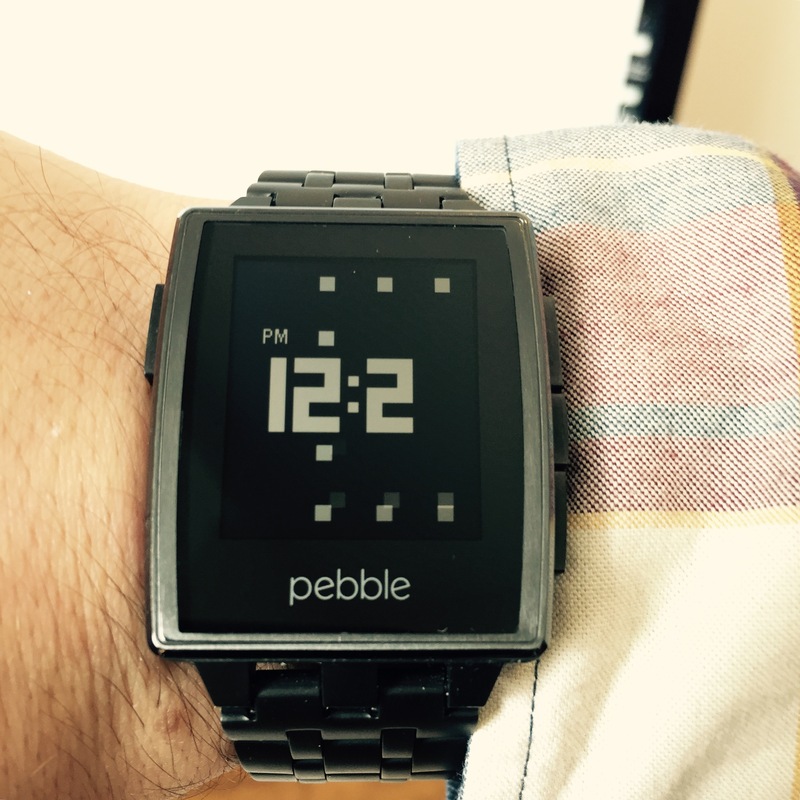 First it's really simple and just shows the time, but has many other useful features. You can set it to vibrate when the Bluetooth disconnects and also displays a "Disconnected" message so you know if you've left your phone behind. It also shows battery level, but only while charging. Dotz is another amazing watch face, that is not only simple but has great animations as well. Each time the minute changes all the dots disappear and then come back in a different order to show the time. This face has an amazing simplistic block style design, great animations and it's also very customizable at the same time. You can change the date format, turn on/off show day of week, shake to show battery, vibrate on Bluetooth disconnect. You can even customize the digits if they have stripes, cut off corners, or rounded/regular shape. 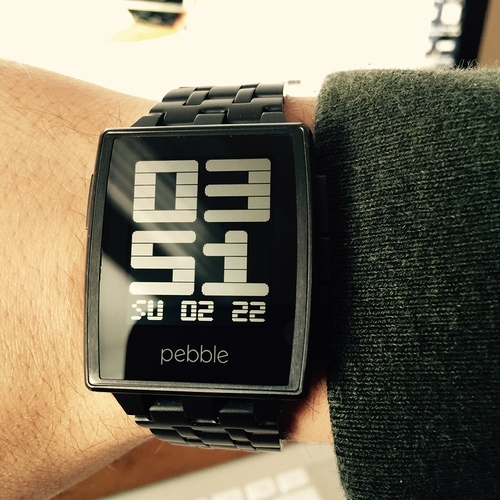 Our second watch face is another retro design, another reason we love this one is because it's also easy to see and read, even with the backlight off or glare. It's simple and shows the 3 things we care about most in a watch: time, day and date. 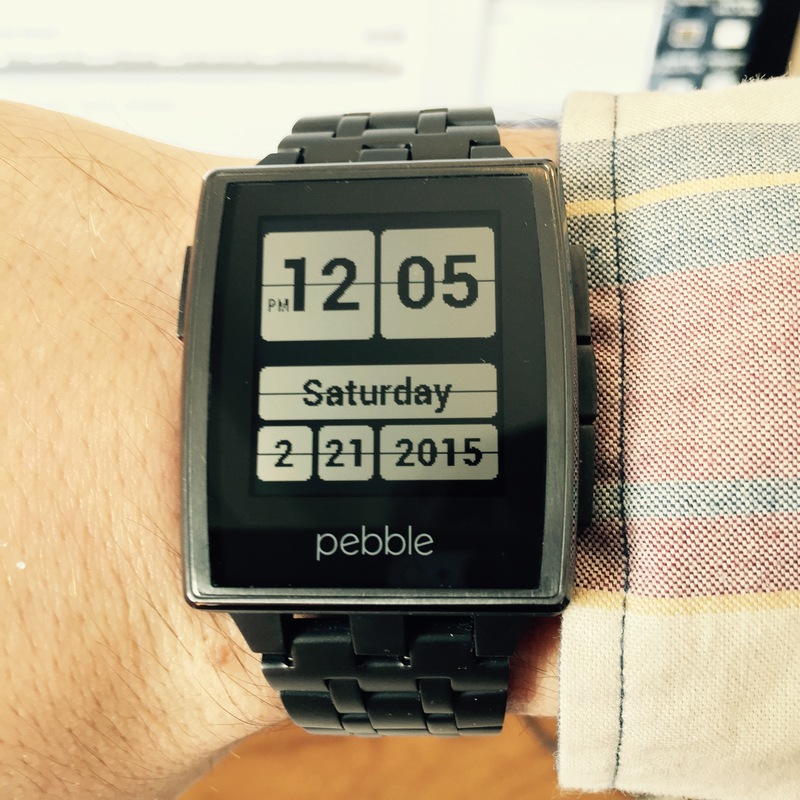 You can also customize the date format, which is a plug. We really like this face — even though we should call it more of an app. While it does require it's own companion app and you need to access it through the Pebble app menu, it provides plenty of functionality. You install the SmartStatus face from the SmartStatus+ app. The home screen displays everything you need to know such as battery levels, weather and you can even press the middle button to see more weather or the down button to see current music playing. 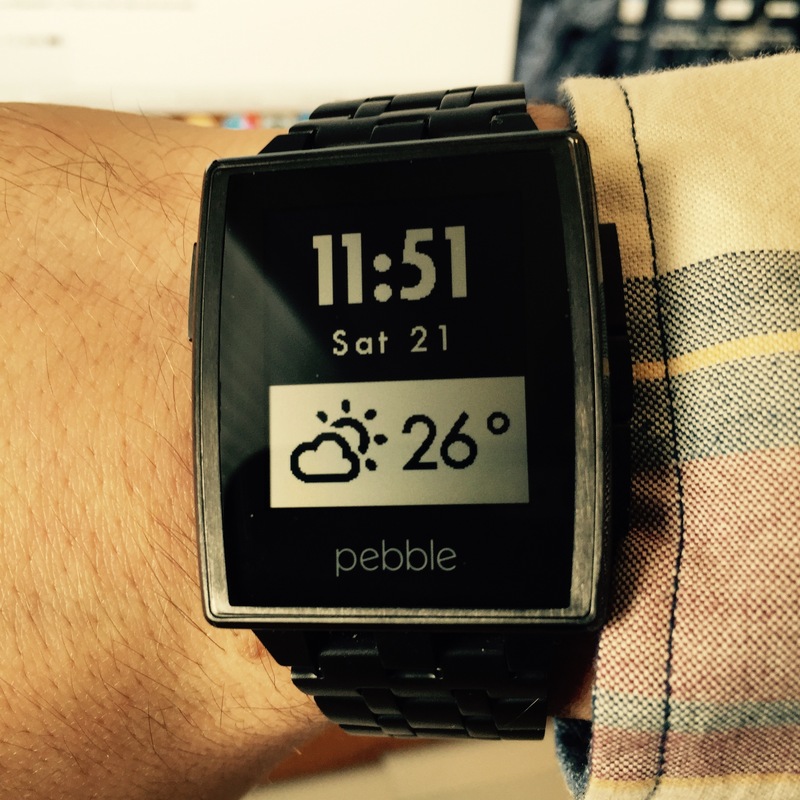 This app was developed by Pebble themselves and is powered by The Weather Channel, so you know you're going to get accurate forecast with a good interface. Simply shake your wrist and see the 3 day forecast, it doesn't get any easier than that! We like the Real Weather app because it's simple while the background changes to tell you what the weather is like outside. This makes the perfect face to wake up to in the morning! It will also vibrate on disconnect and will show a X mark instead of the weather on top so you know if you've left your phone behind. If you're looking for a face that shows the day, time and weather in a simple and elegant form — you've found your face. We love the simplicity of this one but the only drawback is that you can't invert the colors. However it does auto update the weather every 15 minutes. There's no need to be fancy. Download simple and stop worrying about complex interfaces.